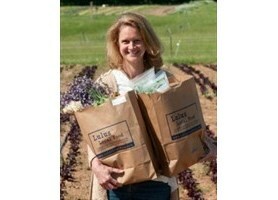 Lulus Local Food provides an innovative software solution for operating online farmers markets and food hubs. This progressive program has been designed to serve as an online tool for establishing a local market food system. The growth of this program allows for fundamental change to take place in how food is sourced in local communities. Expanding in urban and rural areas alike, Lulus Local Food is building local markets and establishing small food hubs in communities throughout Virginia and Montana and neighborhoods in-between. Bring a Lulus Local Food hub to your area. Lulus Local Food is a program of the Virginia Foundation for Agriculture, Innovation and Rural Sustainability, a Virginia 501C3 nonprofit organization. Lulus Local Food is a cloud based ecommerce solution designed to simplify online sales for farms, farmers markets, food hubs and CSAs - a single solution tool for online sales, easy inventory management, financial reporting, reaching new customers and markets, and so much more. Make sales directly from the farm with ease. No initial investment to license the software, and farmers set their own prices to control the marketplace. Lulus accepts multiple payment options and tracks sales and tax payments. Lulus features a cloud based inventory solution that depletes inventory as customers buy products. Control and analyze inventory and sales data from any device with internet connection. Inventory, sales and financial records are stored securely. Lulus software makes creating your own website and online storefront easy. Add your own graphics, post updates and recipes on your blog, post detailed descriptions of products and more. Easily start or join food hubs, CSAs and online farmers markets. Food hubs can create an online marketplace, develop producer and customer networks, customize sales cycles, map delivery locations and manage volunteers.